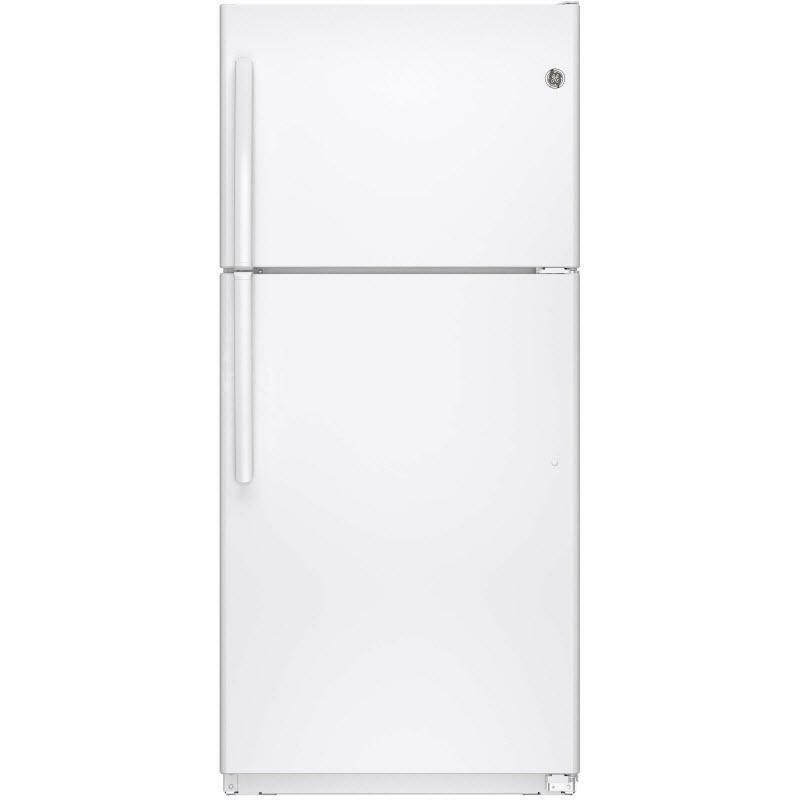 GE® Energy Star® 18.2 cu. 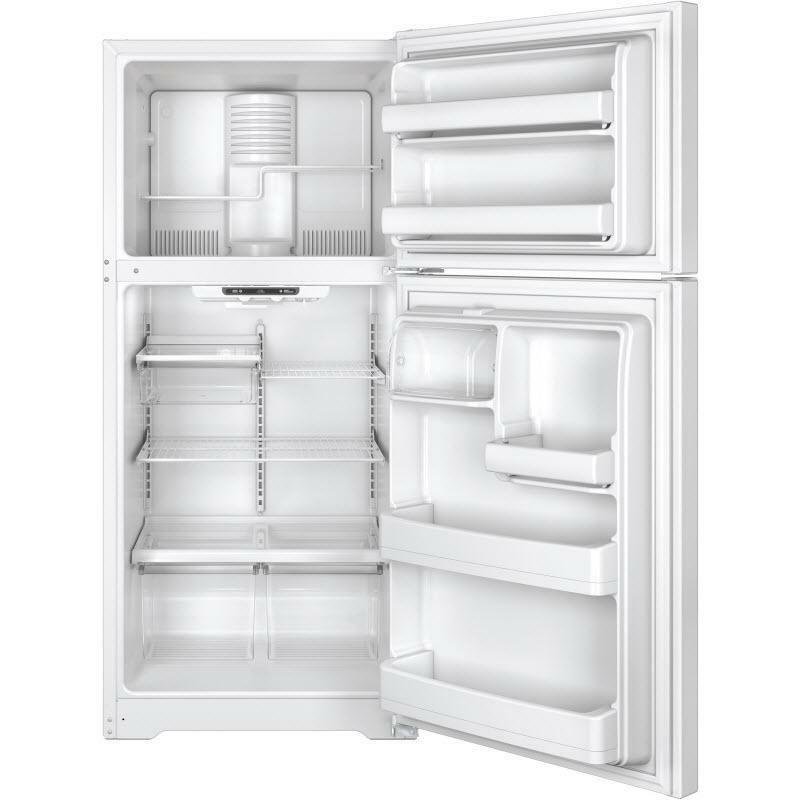 ft. capacity top-freezer refrigerator. 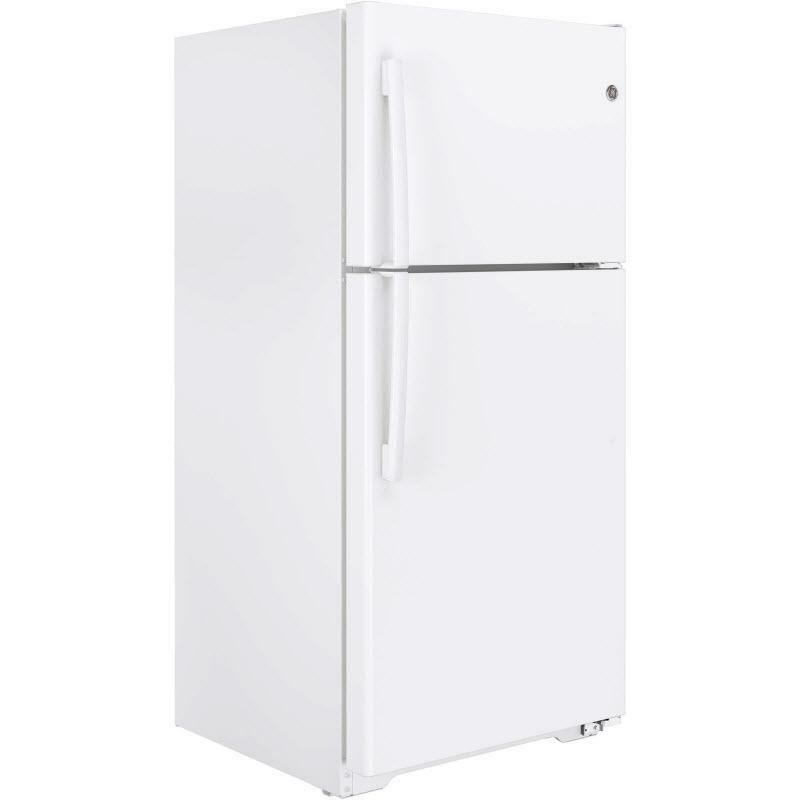 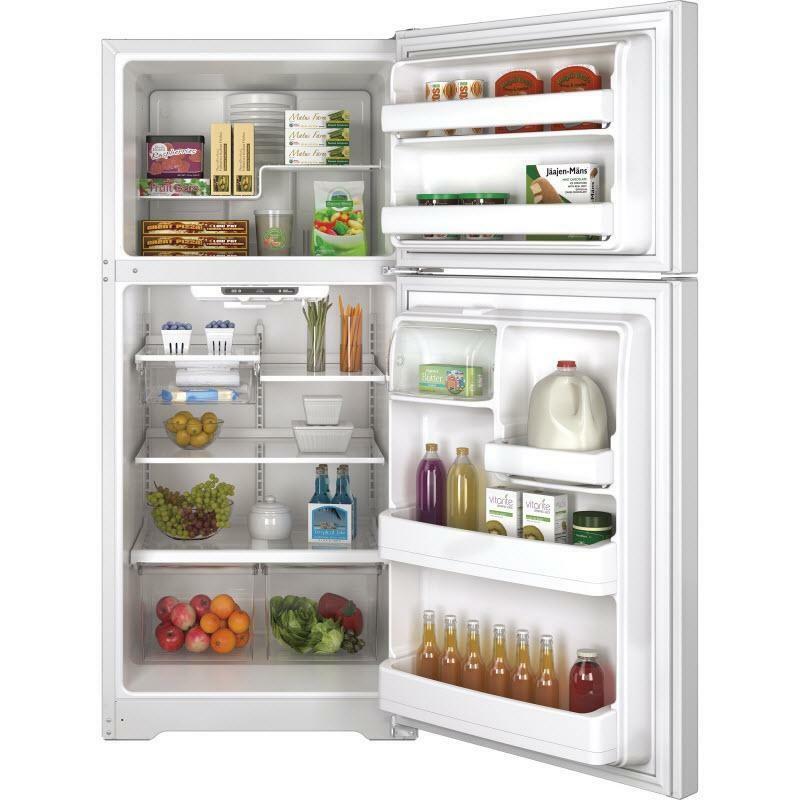 This refrigerator features upfront dual temperature controls, adjustable glass and wire shelves and a snack drawer.